We know our strengths and we play to them – we protect the quality of work we do and the service and support that our customers receive. We bring a diverse background of advertising, branding, public relations, and strategic planning to cater to our client’s requests. With extensive knowledge on major campaigns across Africa and in Tanzania, we strive to bring you the best results. We are results-driven, oriented, and we deliver results. Our dedication to find creative solutions for our clients is key to our business. Please find below some of our most recent work. BIKO: The campaign started with a pilot of 10,000 people communicated through a closed loop using bulk SMS. The media strategy implementation doubled the numbers in the first month. To maintain the momentum, Media, Client Service & Creative deployed to deliver more growth closing the third month at 300,000 players per day. 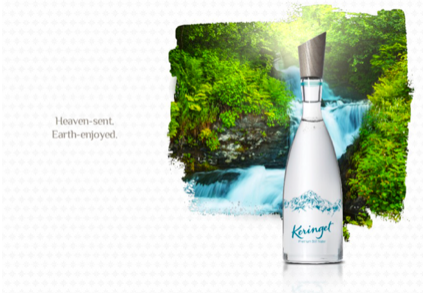 Keringet, Kilimanjaro & Rwenzori: The rebranding of 3 major brands across 3 markets to premium water brands. This required a brand restructure and similarity so as to be easily associated even with different names. Bayport Tanzania wanted a company profile and website. The company profile we made outlines their mission to provide financial support and guidance to Tanzanians, while the website makes it easy for visitors to learn of their moneylending options and leave their information to apply for a loan. .
Chai Bora required social media management. We handled their Facebook, Instagram and Twitter accounts, producing approved calendars and answering any questions asked via those platforms. Creative Studios approached us to revamp their website and portfolio. We delivered a website that lined up with their artistic visions as an interior architectural designing firm and a matching portfolio to showcase their designs. For Dabaga we shot a documentary on their new production factory in Iringa. It tells the story of their beginnings as a small company established in 1979 and chronicles their growth to the nationally-recognized brand they are today, now going even further with new investment from Chai Bora. DCB Bank requested a campaign to rebrand an existing product and introduce it to their customers. We created a new brand name and tagline and produced radio teasers to promote the newly-named product. We also designed new fliers presenting the new bank image, and began handling their social media accounts on Facebook, Instagram and Twitter. Mobi Insurance needed to make buying insurance easier. We produced an online platform and payment system for them, so that people can buy insurance directly from their phones and computers without visiting an insurance agent.